Developmental Psychologist Abigail Baird… Our first guest on our new podcast. This is launch day, and there’s excitement in our house. I’m writing this on the morning of June 10th, two months to the day since I moved on from full-time employment as Business Correspondent and news anchor at ABC News Radio to work on my digital audio startup. Our new weekly half-hour podcast, How Do We Fit It?, is now searchable on iTunes and other podcast sites. There are four episodes so far with new ones being added each week. Please subscribe! With a great deal of help from our fab producer, Miranda Shafer, we built a website that has lots of info on us and what we are up to. We’re also posting photos on Instagram and thoughts on Twitter and Facebook. My buddy, former Popular Mechanics Editor-in-Chief, Jim Meigs, and I are both practical guys, impatient for solutions. We’ve spent decades reporting the news, and want to move past tired old left vs. right rhetoric of yesterday to something new. Instead of despair, our podcasts are about hope. Each show is a lively conversation, built around a smart guest, who is known for fresh thinking and innovative ideas. The expert we reached out to for our first show is Abigial Baird. 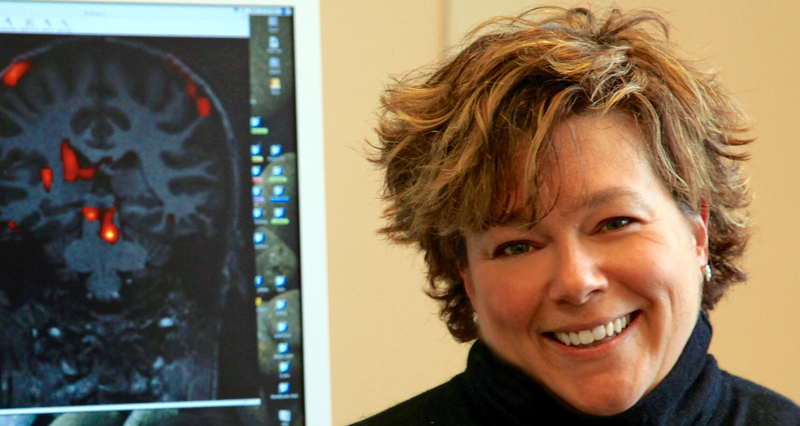 As Developmental Psychologist at Vassar College, Abi studies the teenage brain. She’s a thinker and a doer – the proud mother of two young twins. As dads and journalists, Jim and I know what a challenge technology presents for parents and kids. Computers, video games and mobile devices are a huge temptation. But are they an obstacle or a great opportunity as children learn about the world? Here on our first show, Abi shares her humor, enthusiasm and wisdom as a caring parent and a whip-smart neuroscientist. We learned a lot listening to her. We think you will too! Please download and subscribe to our podcasts. If you like what you hear, share us on social media. We’d very much like to read your suggestions for new shows. We are public radio without the N P R. Thanks for being part of our brand-new community. 29 years as a network radio news correspondent is enough. The clock has run out on my oath of impartiality. During my time at ABC, and before that at RKO, CNN, the BBC, IRN and LBC, (why are most networks acronyms?) I took that oath seriously, and was lucky enough to be a eyewitness to history. I covered presidential campaigns, foreign wars, OPEC conferences, the near collapse of the financial system and two royal weddings. From the fall of the Berlin Wall in the heady days of November 1989 to the streets of New York on that dreadful morning of 9/11, I tried to be as fair and as objective as possible. Now I’m free to say what I think. And I have a lot to say in this blog and on the radio. You will disagree with some stuff, but hopefully I won’t be blowhard. We have more than enough of that already. No one is right always, and if my time as a reporter has taught be anything it is that all of us are at least somewhat flawed and a little bit foolish. Unlike John Burns I made a lousy war reporter. The things I carried back included a view that a measure of ideology is vital for any democracy. Wisdom can be found in unlikely places. But our public square has too often become an echo chamber for narrow, angry rhetoric. The internet was supposed to open us up to a vast array of new information sources. But instead most of us have used it to retreat into our cozy cultural bubbles. It’s time to listen with respect to those who make us uncomfortable. Successful business leaders and entrepreneurs know this already. The chattering classes are lagging behind. This may be hopelessly wrong, but I believe the marketplace for snarky, rigid, and negative rhetoric has reached a low water mark. Prep, preview, pivot: How almost anyone can ask great questions and do a great podcast interview. Throw away the seatbelts. What I had to un-learn after a long career in network radio. Let 550,000 flowers bloom. The stunning variety of podcasting is also its charm.